Where do people read all possible news these days? They don’t turn on TV or radio in order to listen to the latest news all over the world. They open a browser on their phones or laptops and start searching for the desired information. Yet there are so many news websites on the Internet that it’s even possible to get lost among them. Moreover, if you’re reading these words, probably, it can mean that we will get one more news portal very soon. Actually, we are here to help you to build such a website that will distinguish itself from a huge crowd of others. 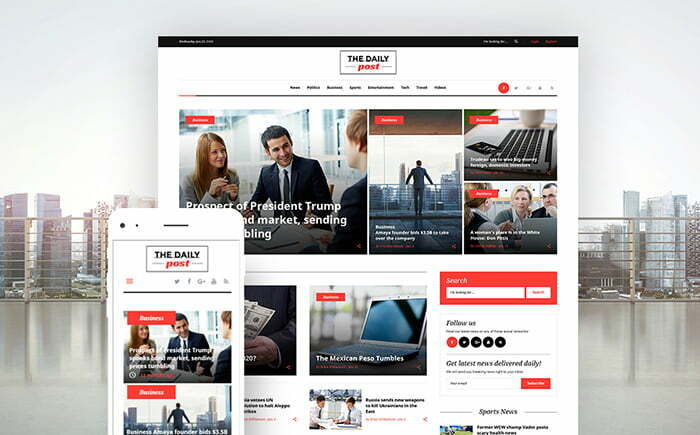 For this reason, in this article, we included 11 best news portal WordPress themes that will assist you in launching a perfect website. Yet before starting choosing the most impressive and suitable template among those ones that are presented below, we want you to get familiar with some reasons to opt for WordPress. If you think that you need to learn everything about WordPress to build a website, you’re deeply mistaken. WordPress is considered to be one of the easiest platforms to work with. What is more, you don’t need to pay any money to download, update or set up this software. Furthermore, you can use WordPress for creating both a blog and a website. Thousands of professional and impressive WordPress themes are available on the web. By the way, if you want to enrich your website with some specific business tools, just make use of different robust plugins. WordPress is a popular platform which means that they are a plenty of resources that can assist you in building a website by yourself. In order not to lose your mobile traffic, WordPress is always ready for mobile-web. A modern and eye-catching template that will make it possible to present the hottest news from everywhere. You can easily freshen your website up by means of amazing bonus images already included in the package. You will also get a wide range of widgets to promote your website and showcase your content in an out-of-the-ordinary way. 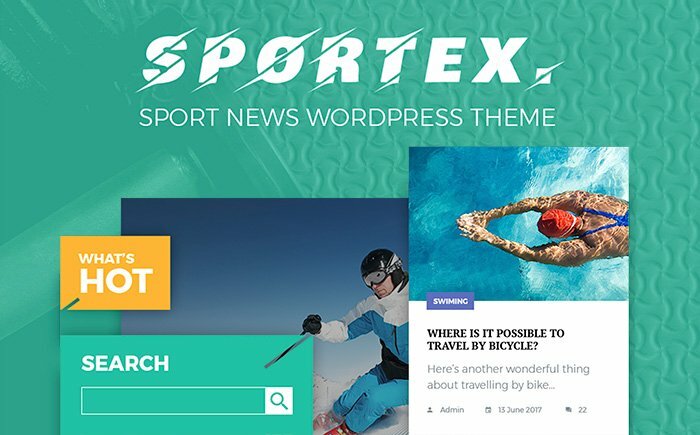 If you have a desire to share sports news with all of its fans, just make use of this stunning solution. A user-friendly newsletter subscription will allow your loyal readers to get your updates immediately. Furthermore, you will be impressed with such features as a sidebar manager, background options, and live search. 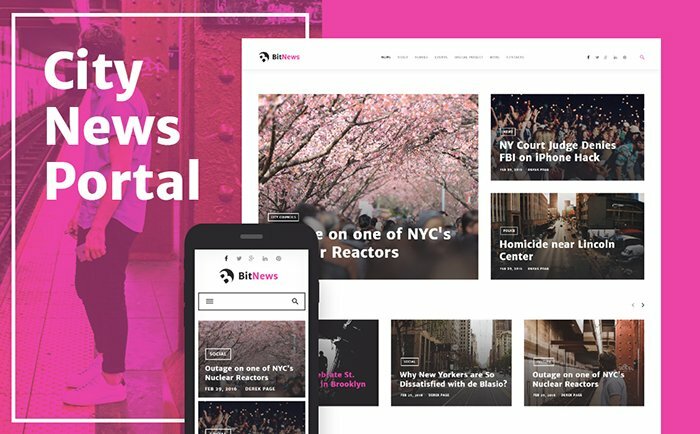 Digezine is a bright template that will assist you in launching a website regarding your news magazine. 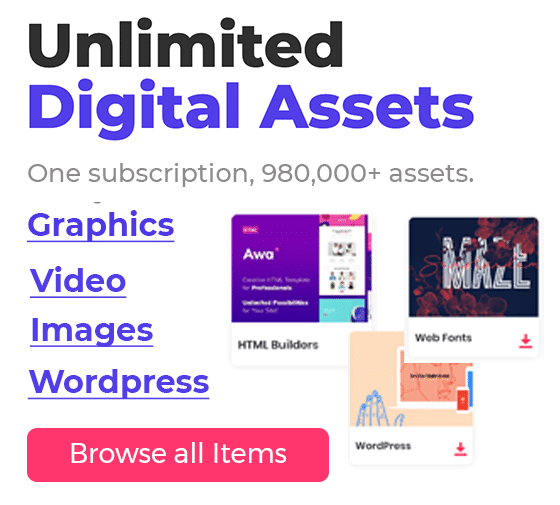 Thanks to seven marvelous header layouts, you will be able to create a unique look for your website. In addition to this, you will get a powerful commenting system, social options, and newsletter subscription form. Catch the eye of your target audience by means of this convincing template designed for presenting a news magazine. A clutter-free design will assist you in grabbing the attention of those people who want to find the most important news all over the world. Don’t forget about a remarkable TM Gallery to showcase your high-quality pictures. 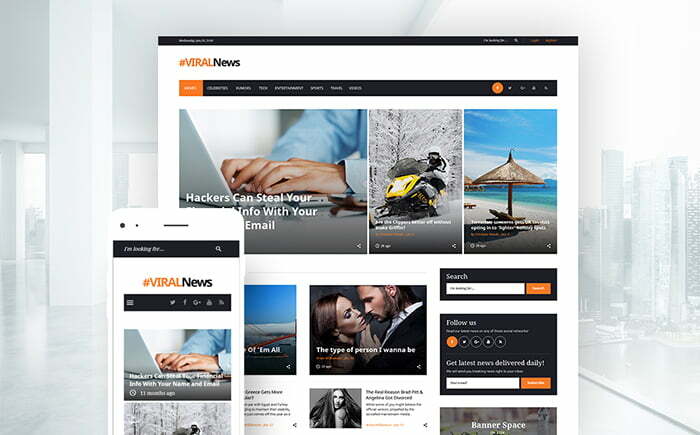 A vibrant theme that has the power to present various technology news in the best possible light. Thanks to multiple custom widgets, you will be able to highlight the most crucial information from your website. Moreover, make use of the contact form to allow your readers to communicate with authors of your news portal. 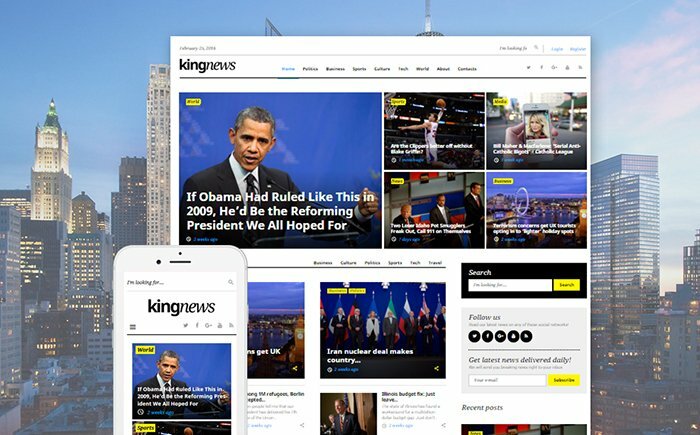 If you want to post all possible kinds of news on one single website, just take advantage of this incredible template. 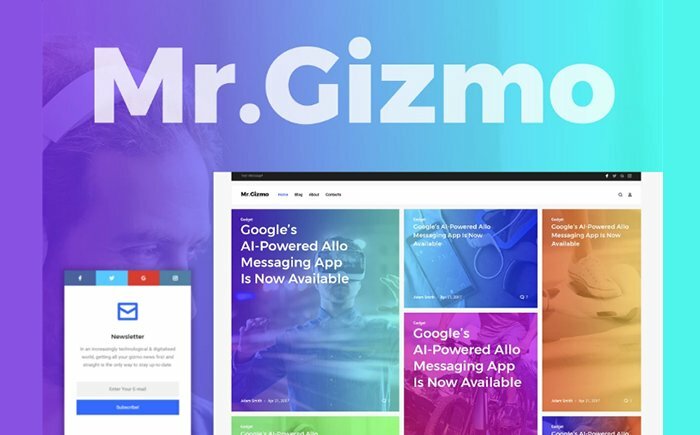 It will impress you with multiple grid and masonry layouts, home page styles, and sidebar settings. In addition to this, your readers will get the opportunity to share the most interesting posts on their social networks thanks to a powerful social sharing. If you want to spread the word about the most impressive news all over the world, this amazing template will become your great assistant in this purpose. Thanks to a stunning newsletter subscription, your loyal readers will get the latest news immediately. You can also brighten your website up by means of various images and videos and present them in TM Gallery. An attractive template that will definitely grab the attention of various people. 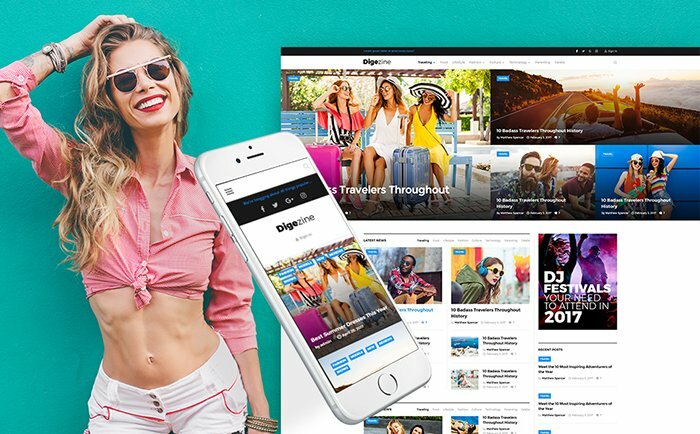 Together with it, you will get different premium widgets (like a social feed or newsletter subscription) that will attract more and more readers to your news portal. Moreover, it will be possible for everyone to write about their thoughts on various news thanks to a user-friendly commenting system. 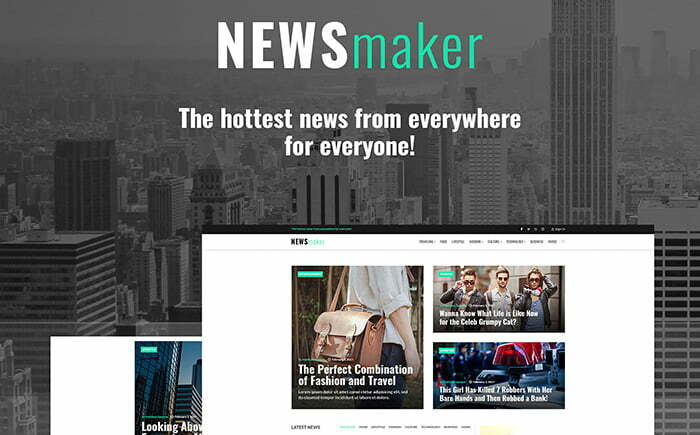 A wonderful template that is considered a perfect variant to create a city news portal. Thanks to a few types of the gallery, audio and video integration, it will take you completely nothing to present news in a stylish way. Furthermore, you can make use of eye-catching Google Fonts to freshen the look of your website up. Are you thinking of launching a stylish financial advisor magazine on the web? 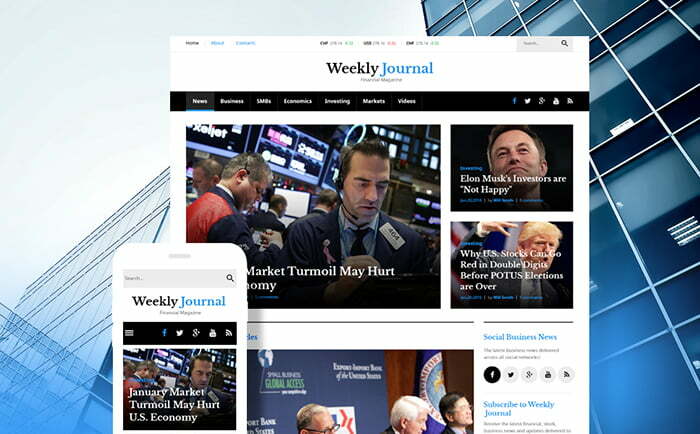 In this case, pay your attention to WeeklyJournal that includes such features as a powerful WordPress Live Customizer, commenting system, and great web forms. In addition to this, you can take advantage of the Twitter Feed, Instagram Board, and Facebook like-box. 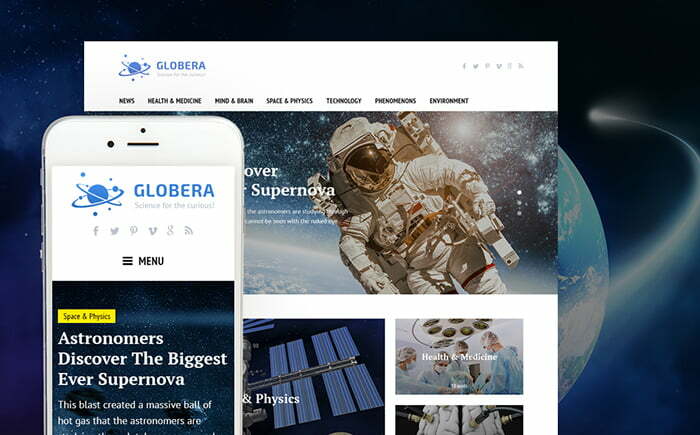 If you have something to do with science-related news, present them with the help of Globera on the Internet. In order to make your readers be captivated with your content, showcase it by means of different types of the gallery. By the way, you will also get various social options that will make it possible to share your posts on social networks. 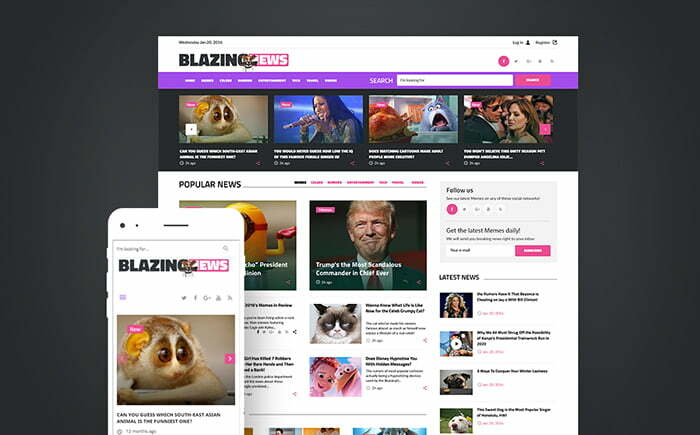 Believe us, you will be extremely satisfied with your final result because all of these news portal WordPress themes blend an outstanding design and stunning functionality. Your readers will be happy to read different news exactly on your website. We wish you to post only pleasant news on your website. Thanks for reading!